RomaxDESIGNER for NVH simulation and testing supports the Volkswagen Group to optimise their transmission design and establish integrated validation strategies. With continued pressure to reduce development time and costs, along with ever-higher consumer expectations and the rise of electric vehicles (EVs) and hybrids, the need to understand and solve NVH issues has become greater than ever. Companies want to quickly and accurately assess the effects of design changes as early as possible in the development cycle – before the process moves into expensive physical prototypes and testing. 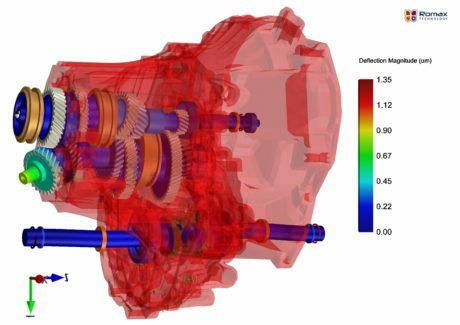 Romax Technology has a market-leading simulation software that allows designers and manufacturers to assess and optimize NVH characteristics while also maintaining or improving efficiency and durability, and in a single environment: a powerful integrated approach optimized for design improvements. Issues can be identified at the design stage, checking basic analyses for NVH at a concept level, saving time and money. Volkswagen Group is one such company that Romax Technology have supported to provide a holistic approach to their design process using RomaxDESIGNER software for gearbox simulation, to perform fast and accurate NVH analysis at each stage of the design and validation. Europe’s biggest carmaker, Volkswagen Group delivers over 10 million cars to customers each year and has annual group sales revenue (2015) of €202.5 billion. Almost one in four new cars (24.8%) in Western Europe are made by Volkswagen, a group which comprises 12 leading brands from seven European countries: Volkswagen Passenger Cars, Audi, SEAT, ŠKODA, Bentley, Bugatti, Lamborghini, Porsche, Ducati, Volkswagen Commercial Vehicles, Scania and MAN. Its challenge was to develop a reliable validation strategy for gearbox noise, vibration and harshness (NVH) to allow design changes to be made with confidence, and satisfying the demanding needs of the market-leading brands. 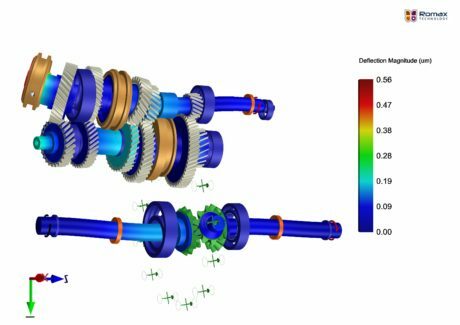 Romax’ whole system simulation environment offers both a prevention and cure strategy for transmission NVH issues. Design from the earliest concept stages with NVH in mind for confidence from the start or use advanced analysis and optimization processes to improve the NVH performance of existing designs, whilst never having to compromise on efficiency or durability. An example of modal analisys with RomaxDESIGNER. Modal analisys of a gearbox housing with RomaxDESIGNER. Resolve validation errors quickly and easily through an understanding of exactly where they occurred, removing the need for time-consuming investigatory work. Meet increasing demands for NVH which satisfy cutting-edge gearbox designs, e.g. for electric motors or complex gearboxes. Know that design changes are made not relying on trial and error, but based on proven, trustworthy simulation. 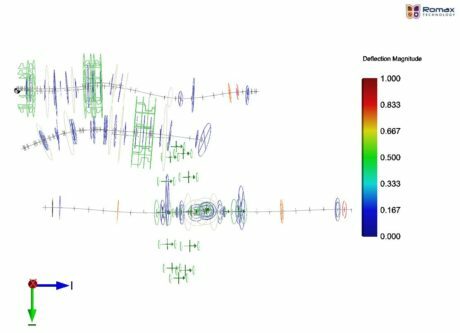 Moving away from ‘traditional’ design and analysis approaches to consider all elements of NVH optimization. Taking a whole-system view – to solve NVH issues faster, earlier and in optimal ways. 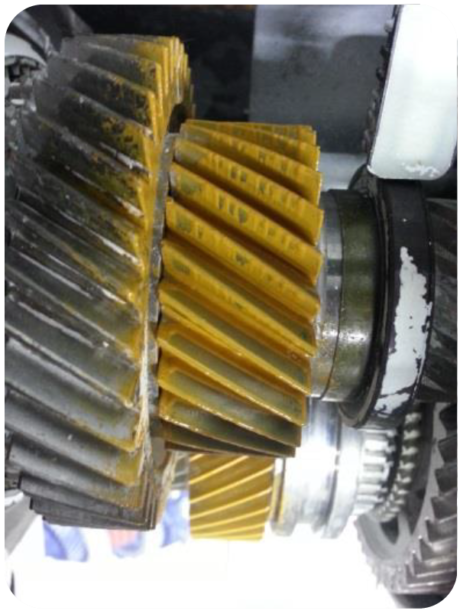 Gear whine, gear rattle, efficiency and durability are analyzed simultaneously; when combined with Design of Experiments functionality, multiple iterations can be assessed automatically.